I have seen some bloggers cite the Masai as an example of a people who consume a diet high in saturated fats from animal products, eating no plant foods, yet have a very low average serum cholesterol (approximately 150 mg/dl) and little or no cardiovascular diseases. Some have suggest that the Masai provide “proof” that humans don’t need plant products to maintain good health. Do the Masai “prove” that humans thrive on a plant-free diet? No, not because they don’t thrive, but because they don’t eat a plant-free diet. I recently read Wild Health , by biologist Cindy Engel, Ph.D. , who specializes in studying the health maintenance behavior of wild animals. Wild Health presents a lot of evidence indicating that wild animals deliberately engage in “non-nutritive ingestive behaviors” that appear to have medicinal functions. In other words, they go out of their way to consume items that have little or no nutritive value (clay, various herbs). I plan to write more about this in the future. Phytochemicals as Evolutionary Mediators of Human Nutritional Physiology, Int J Pharmacognosy 1996, 34:5:327-34. The Chemical Ecology of Human Ingestive Behaviors, Annu. Rev. Anthropol. 1999, 28:27-50. 1. Human evolution involved gains in brain and body size; increased ingestion of long-chain (omega-3) polyunsaturated fats, cholesterol, and total fat and calories; heating of fatty food; and greater longevity, all of which increase cumulative oxidative stress. 2. Meanwhile, increased reliance on meat and reduced reliance on plants decreased ingestion of exogenous antioxidants. 3. These two trends led to selection for “nonnutritive ingestive behaviors” as a compensatory mechanism for increasing intake of antioxidants, including the development of herbal medicine. In other words, they favored the development of the use of herbs as both dietary components and medicines, to compensate for the loss of plant secondary compounds due to the reduced direct reliance on plant food. To illustrate, Johns points to the Masai (Maasai). According to Johns, Maasai usually consume meat with or as soup, using 28 different herbs to make the soups, using the herbs in levels that make the food bitter. They also add a dozen plants to milk to prepare a tea-like beverage called orkiowa. Such use of herbs occurs universally. Screening of 12 of the Masai food additives found that 82 percent contained potentially hypocholesterolemic saponins and/or phenolics. The Masai, when questioned, state that a person would not maintain health without using these additives. They recognize the most widely used of additives, okiloriti (Acacia nilotica) as a digestive aid, flavoring, and nervous system stimulant (in high doses). The Masai’s appreciation of the digestive effects of these herbs likely relates to their ability to stimulate bile flow to emulsify fats in their high fat diet, lack of which would lead to diarrhea. Plug “Acacia nilotica” into a PubMed search window, and you will find that this herb has strong free radical scavenging compounds, and displays anticancer, antimutagenic, anti-inflammatory, antimicrobial, antifungal, anthelminthic (kills worms), antidiarrheal, and antiplatelet-aggregation activities. It may also inhibit oxidation of LDL. So, to eat like the Masai you have to use the full complement of herbal additives that the Masai use. 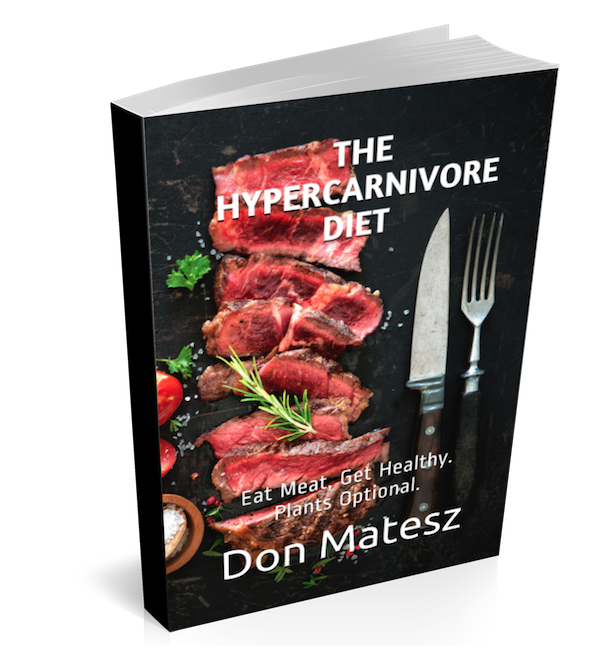 They do not eat a purely carnivorous diet composed only of meat and milk, and the herbs that they consume may actually be essential to the success of their dietary regime from both an ecological adaptation standpoint and a health standpoint. If you eat milk and meat but avoid bitter herbs, you can't expect that you will have the same lipid profile or good health as the Masai, because you aren't eating like the Masai. Since it appears that wild humans naturally and continuously ingested many plant secondary compounds, both directly from plants and herbs, and indirectly from wild game meat, and did so for millions of years, it seems very likely that human physiology adapted in specific ways to these components and now requires them to maintain normal functions. I find the hypothesis put forward by Johns fairly compelling as an explanation for the universal human use of herbs as food additives and medicines. Great info - I've never seen this information about the Masai. Great post. Eye opening information. I guess it demonstrates that we should all be careful when citing traditional diets as a proof for plausibility of implementing a certain nutritional strategy. This apply to prehistorical societies as well as present day traditional societies like the Okinawan. We seldom have a complete and scientifically sound data regarding their diets. For instance, although we perceive the Okinawan to be mainly carb eaters I have found a quote from ex Okinawan living in Hawaii who describes that diet as "greasy". Same goes for the Kitavans where we don't really know the complete details of their nutritional profile like frequency of meals, fermentation or other preparation of carbs and what seafood and herbs they consider essential etc. On another note, the Masai are not that big on meat. Their diet is dominated by milk. This is a very unique diet and may therefor require more maintenance by herbs than normal HG diets. it's also interesting that herbal "bitters" now used mostly as cocktail ingredients were originally conceived as digestive tonics. Great info. All the more reason to use paleo as a trial and error, common sense approach (and even look to modern nutritional science, ala Kurt Harris) and not get too dogmatic about paleo food "re-enactment." The critics who claim that we can't really know exactly what paleo man ate are not completely wrong! Thanks for all the info you present in this blog. Don, very informative and unexpected post! I wonder if the bouts of diarrhea I've occasionally experienced after eating a meat-heavy meal is due to insufficient consumption of plants. I find that yogurt, kefir, or kimchi mitigates against this, too, so perhaps fermented foods offer similar effects as do bitter herbs. Great post. Although Michael Pollen doesn't seem to get too much respect from "paleo" people, he did point out in his books that our diet is extremely limited due to the use of overwhelmingly agricultural sources of food, as compared to a diet based on huge variety of wild animals, plants, insects and reptiles. This probably presents a formidable problem even for people trying to eat a "paleo" diet that is mainly based on supermarket-bought meats-vegetables-fruits. In that sense, the move from SAD to "paleo" to a real wild paleo might be just a move to wider and more diverse food and supplementation sources. Excellent Post! I haven't seen this information before. Another thing to note with plant consumption in carnivorous diets- some cultures ate the stomach of herbivores with its plant contents still in the stomach. What would really tie this together is evidence of other carnivorous hunter gatherers (including the Inuit) using herbs or plants, or suffering because they didn't. I am wondering if eating vegetables is supposed to be interchangeable with eating some of these herbs. Herbs are strong vegetables; vegetables are weak herbs. I'll gather some info on plant foods in the Inuit diet. Yes, to some extent. Regardless of diet, hunter-gatherers, even Inuit, ingested plenty of phytochemicals, especially fat soluble types. In that past post, I hadn't thought deeply enough, and also, I focused primarily on antioxidant effects of phytochemicals. Intervention trials and my own herbal medicine practice show other effects, such as anti-inflammatory, anticoagulant, antihypertensive, hypolipidemic, etc.